It’s human nature to caricature everything we like. Sometimes we make miniatures of our preferences, and at other times we just blow them out of proportion…and this is that one time! The Kriss-Sport iBoxer is a like a giant iPhone, more so because of the imitable styling and the pun on the Apple logo. In the original you have the bitten apple and here you have a chunk of the iBoxer vamooshed. 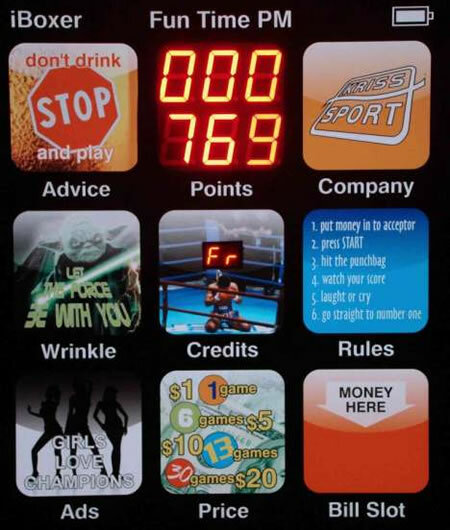 iBoxer isn’t your regular club and disco amusement machine, its big on design and great on functionality. Besides letting you throw a few punches on the little punching bag, you can also enjoy some music on its high-quality stereo MP3 sound-system. It features a wide demo program (music plus illuminations), an OLED backlight and LED lighting that ensures low power consumption (only 35W). The iBoxer is a coin-operated machine and is fully weatherproof. 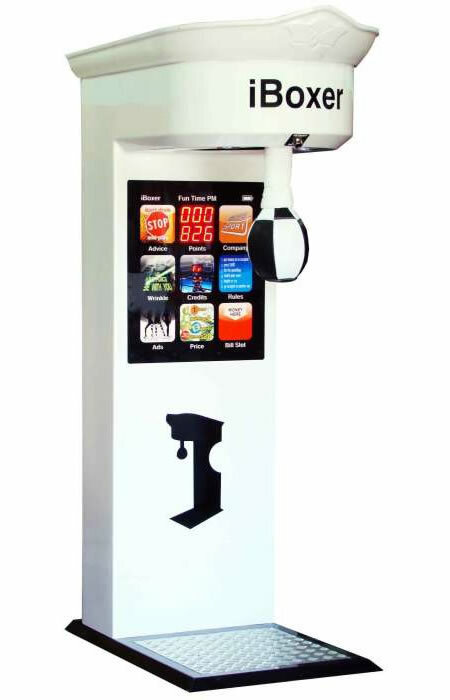 It can even be fitted with a coin acceptor, bill acceptor or an SMS payment acceptor, and additional ticket dispenser.